The Transcendent Key had the most liked content! Has anyone here seen the anime Nanbaka? I'm currently on the second season, and good lord is this show something else! XD Nico is my favorite character! No I haven't, what's it about? It's the power of "Dew it!" Backwards compatibility would be insane. Other than that, I don't ask for much else. Price never really is an issue, since I never get a Playstation console right when it comes out and I just wait for the price to drop. Well this is most interesting! I'm not really surprised since I figured it would only be a matter of time that Sony would reveal information about the Playstation 5. The PS4 is already running on the sixth year of it's life cycle, and a new Playstation system comes out when the previous iteration is about to hit the ten year mark. So the PS5 could probably release at around 2021, with games for the PS4 probably ceasing production by 2024/25. I wonder if this means KHIV will be for the PS5? Well, for me, it would have to be Japanese. I'm already fluent in English and Spanish, so learning Japanese would be cool. Especially since I'm such a fan of anime and whatnot! I know some words and what they mean, but not enough to form a complete sentence, ya know? Maybe someday, I will learn the language, but for now, I don't think I'll tackle the subject since I have so much going on in my life. What Lies Ahead For The Future? That is true! The next saga can be a fresh start for Nomura to play around with some insane concepts, which I'm sure he'll do! I'm excited to see how he'll further expand upon the gameplay and the story and everything! It's always wonderful to see how Nomura and his team execute their vision! As for Kairi, I did feel as though she was lacking severe screentime, but she was doing her best to contribute to the battle at hand. Yes, she was used as a damsel in distress again, which is probably the main reason people are so mad about her, but honestly, Kairi is a character that is continuing to grow. We already have Sora and Riku as well developed characters, and now, we can have Kairi have her time to shine! Hopefully you're right and Nomura gives her some more development moving forward. And well, regarding Ava, this is all still a mystery to me. Also something to keep in mind is that in the Final World, the mystery girl said something along the lines of: "He is not himself, if he noticed my absence, he would surely worry." So it may have been Strelitzia talking? Lauriam was not himself, and when Sora defeated him, he said that it was all coming back to him, his purpose for being. So maybe Strelitzia is another name we can throw in the hat? She could be important for the next saga as well! It kills me that we never got to see what was in the Box. But since Luxord said hope, then it must be something benevolent? Or maybe Luxu was just lying to get Luxord off his back? And honestly, the Master Of Masters is a tricky one to decipher. One never really knows what to expect of him. Yessss, same here! That'd be awesome! Haha, that's the beauty of the unknown and the prospect of a new saga! It leaves room for any possibility! Holy snap, these look amazing! You never cease to impress, my friend! And it's okay, life tends to keep us busy, especially us adults, so it's understandable that you don't post as often. But when you do post, I always look forward to your sketches, they are amazing, as always! You have improved more and more! Funnily enough, I've only ever seen Xenoverse but have never played it. The only DB games I own are Budokai Tenkaichi 1 and 2, and I remember playing 3 a lot with my best friend/soul brother Jonathan. I really wanna get FighterZ! But yeah, I wonder what's in store for Broly? Hey there everyone, how's it going!? Boy, has it been a while since I made a topic here! But well, considering that we've all played Kingdom Hearts III by now and now that we have a slew of new things to dissect and analyze upon, I wanted to make this topic to discuss about what's in store next for the future of the series! After the Epilogue and Secret Movie of the game, and throughout the course of the game as well, it was evident that "The Lost Masters" would be something that would channel into the next saga, since Union X is basically setting up what comes next! Now, my question here is, now that Xehanort is done for, I wonder what's in store for Luxu and the Master Of Masters and the rest of the Foretellers? And what of Ava's fate? Is she the mystery girl that Lea and Isa are trying to save? Or is she simply the only Foreteller that wasn't able to come back? And what is the ambition of the Master Of Masters? 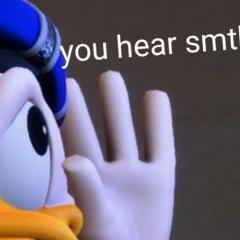 Does he seek Kingdom Hearts for ultimate power? Or is he simply doing all of this out of a sheer sense of fun? There's no telling because of the way he acts! What is clear is that these characters will be very important in the next saga, so I'm intrigued to see where the series will go from here! What do you all think? What would you think would be the next step in the series? All of my yes! 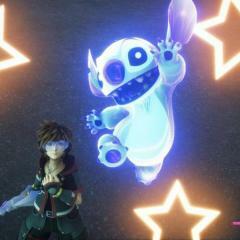 And well, honestly, the closest we have seen Sora go "Soranort", like Alicia mentioned, is in his Anti and Rage forms! That's already quite the indication of how Sora would be like when consumed by darkness. But due to Sora being such a positive light and being someone who would never go down that road, I find it hard for Sora to turn dark unless he's forced or he's tricked into it, like in Dream Drop Distance. 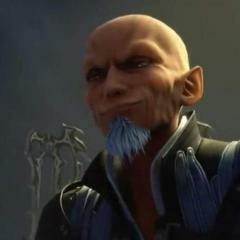 But it would've been interesting to see Soranort in KHIII. But in the next saga, there could be an instance where we see Sora given in to the darkness.